Double chins are major concern for many of our clients and understandably so, given it can transform your entire face shape. Contrary to popular belief, double chins aren’t just a consequence of poor diet or weight gain – our age, genetics and even posture all play a role. As we age, our skin loses elasticity and starts to sag, which can lead to a double chin on even the slimmest of people. The good news is, there’s actions you can take to eliminate the dreaded double chin. Regular exercise and a good diet should be first and foremost if your excess chin fat is due to your weight. However, if it’s to do with age or genetics, then exercise and diet will do very little to fix the problem (although should definitely still be followed), and a treatment of chin sculpting injections may be worth considering. What are double chin injections? Chin sculpting injections are a relatively new non-invasive treatment that uses fat dissolving injections to improve the appearance of double chin fullness. They contain a synthesised deoxycholic acid, which occurs naturally in the body and aids in the breakdown and absorption of dietary fat. When injected below the chin, it begins to destroy and permanently eliminate fat cells. In most cases, you will need a series of two to four treatments to achieve the best results, which last up to four years, or longer if you stick to a healthy diet and exercise regimen. Want to know more? 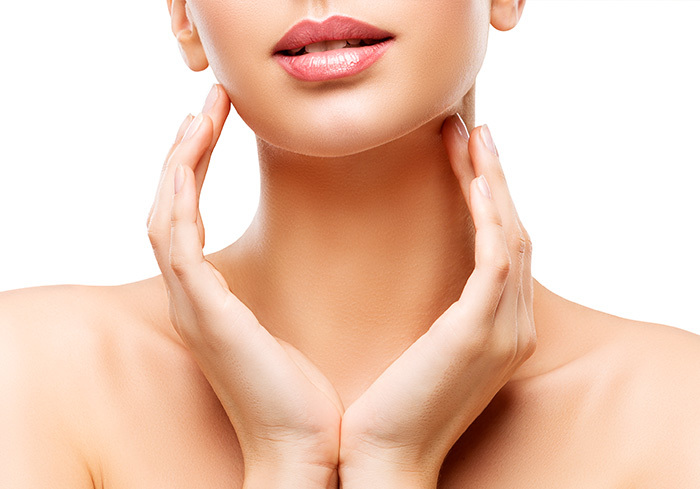 Book a consultation with our masters today to learn more about our chin sculpting treatment and how we can help you master the artistry of you™.